Most great ideas spontaneously arise over a meal (or drinks) with friends. A lightbulb goes off sometime around the third refill, and suddenly you're collaborating on a new, exciting project. Case in point: the Stubbs & Wootton pop-up shop in East Hampton. When founder Percy Steinhart sat down with his team to discuss his upcoming runway show, the conversation switched directions (literally), as the cult-slipper comrades decided to drive and check out some new digs. 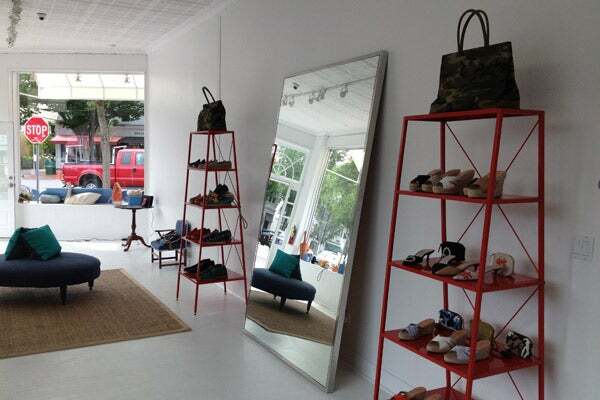 Settling on a chic, minimalist space on Main Street, the beloved velvet soles arrive in the 'hood at the perfect time. With styles for days to choose from, you'll want to start viewing the brand's extensive fall collection now. The kicks are already available for pre-order, and the pop-up shop will be open through December. After all, it's never too early to start planning for Christmas! Hint, hint. Stubbs and Wootton, 54 East Main Street (at Newtown Lane); East Hampton; no phone.